Myanna Harvey's exuberant arrangement of this traditional carol for violin and cello duo is written in a baroque style. 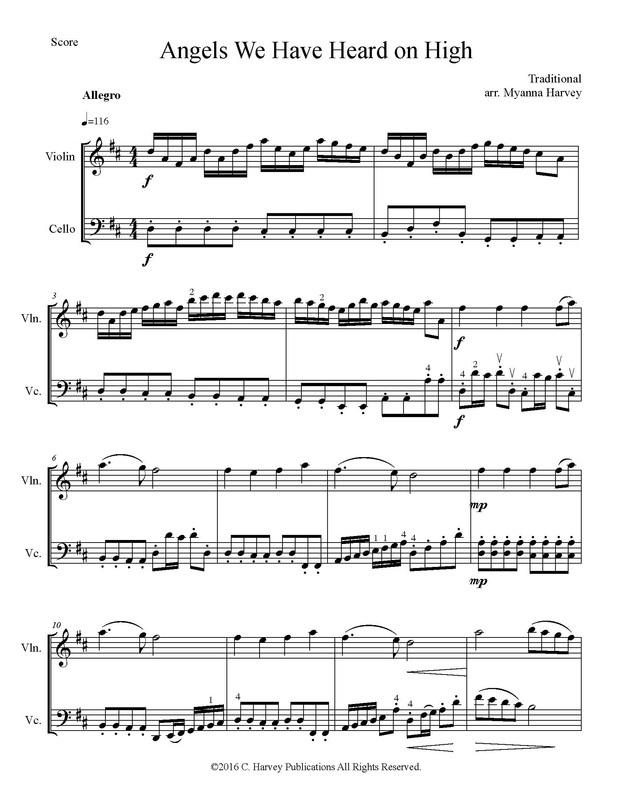 In the arrangement, soaring melodies alternate with faster sections and sixteenth note runs. Playable by late-intermediate through professional-level violinists and cellists, this is appropriate for church services and Christmas concerts everywhere.